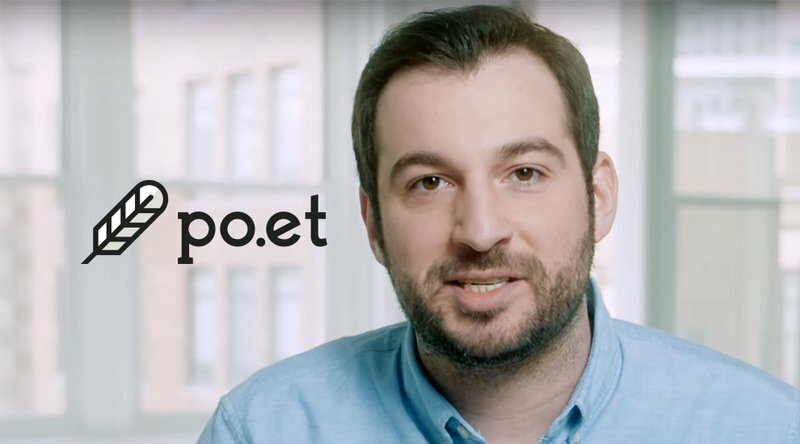 Po.et, a blockchain startup that allows content creators to create time-stamped titles for their written, visual and audio work, has announced Jarrod Dicker, who has held positions at the Washington Post, Time Inc. and Huffington Post, as its new CEO. It may be the perfect match. Po.et wants to change the way content creators manage their work and Dicker has a history of ushering traditional news outlets into the digital age, so they are not solely reliant on advertising and subscriptions. Dicker left his position as VP of innovation and commercial strategy at the Washington Post to join Po.et. Dicker’s role at Po.et will be to oversee strategy and engineering and product development on the Po.et platform. He will also oversee Frost, an API and set of development tools that Po.et launched last week for content creators and bloggers. After joining the Washington Post, Dicker helped form the RED team, which stands for research, experimentation and development. Prior to that he worked at RebelMouse, a company founded by the core Huffington Post technology team, where he helped build the company’s future content management system. He also worked at Time Inc., taking the lead on emerging products, and at Huffington Post, originating native advertising. Po.et. provides tools to publishers and content creators who want to automate the licensing process without involving third parties. All content licensing terms are enforced by smart contracts. Contract details, as well as ownership rights and other descriptions are then hashed and cryptographically registered on the Bitcoin blockchain. Po.et, which held a token sale on August 8, 2017, now boasts an online community of more than 40,000 developers and creators on social media platforms, such as Telegram, Reddit and Twitter. In addition to his role as CEO at Po.et, Dicker sits on the board of advisors for Rutgers University Center for Innovation Education and MOGUL Inc., a technology platform that enables women to share ideas and access content based on their personal interests. Dicker also supports a Carnegie Mellon University program on the value of social advertising in publishing. PREVIOUS POST Previous post: Bitcoin Mining is Booming in Iceland, But at What Cost?